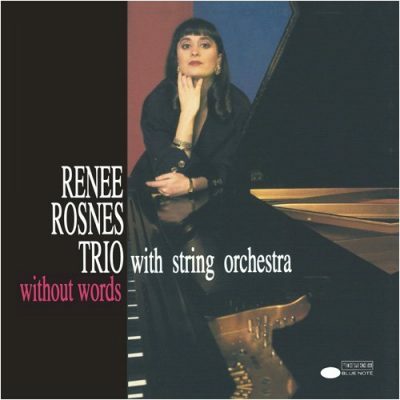 The musical concept of Without Words was that the string orchestra would not be relegated to its usual background role, but share equal footing with the piano trio. Robert Freedman was the ideal arranger for this project, providing innovative, radiant string arrangements that allowed for inspired music making with the trio. An interesting album note is the concertmaster on this session, Gene Orloff, also played on the landmark recording “Charlie Parker With Strings”, as well as the historic Bill Evans/Claus Ogerman sessions.